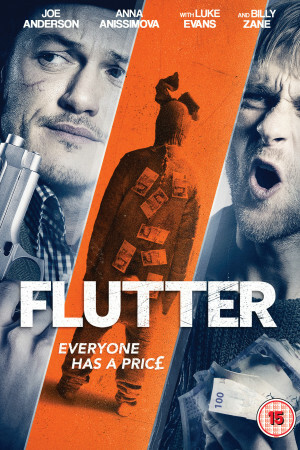 In Flutter, John is an ordinary married man with an unusual way of making a living, his successful lawyer wife knows he pays his ways through gambling and it is his honesty that makes their domestic arrangement work. But when an attractive new female bookie mysteriously arrives at the dog track, however, John finds himself in a world of thrills – and suddenly the stakes are higher than he could have ever imagined. Starring Joe Anderson (The Grey, The Crazies), Billy Zane (Titanic), Luke Evans (Dracula Untold, Immortals) and Laura Fraser (Breaking Bad, A Knight’s Tale).